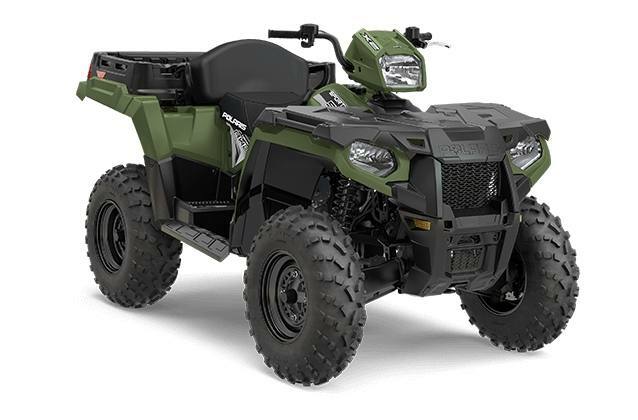 The Sportsman® X2 570 delivers the hardest working, smoothest riding performance that makes Sportsman the best selling automatic 4x4 ATV of all time, along with versatile, easily-switchable 1-Up and 2-Up configuration. You'll be ready to take on any job or trail, whether you go it alone or bring a friend along for the ride. High-performance close ratio True On-Demand All Wheel Drive to give you the traction you need, when you need it. VersaTrac Turf Mode for a tighter turn radius that won't tear up your lawn. 11.25" of obstacle-dominating ground clearance. Engine Braking System (EBS) with Active Descent Control (ADC) to keep your speed decelerations smooth and consistent. Variable assist Electronic Power Steering (EPS) for precise control. 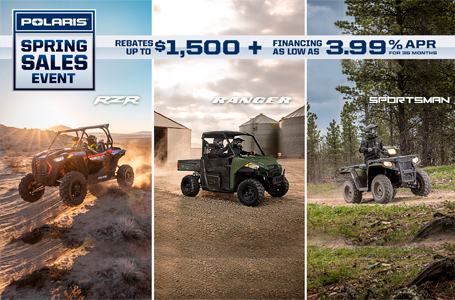 The Sportsman X2 570's payload and towing capacity will help you tackle the truly big jobs and get more done in fewer trips. Rear dump box with 400 lb. capacity. When you're working on your property or out on the trail, you can't afford down time. The Sportsman X2 570 is durable, reliable, and built to last. NEW! Our half shafts have been redesigned to increase strength by 50% at max stress.